Observation - Slender Wart Weed - UK and Ireland. Description: One of the round red seaweeds found in the lower eulittoral zone. 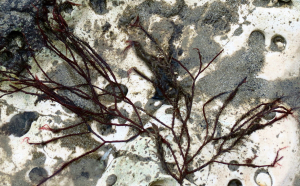 One of the round red seaweeds found in the lower eulittoral zone.